If you want to be off to a great start this week, make sure to take the time to read this message to the very end. Emotional control is a big challenge for many of us in our personal and/or our professional lives, isn’t it? Has it ever happened that someone says something to you that makes you mad in a split second? Well, this has certainly been true for me. A statement or comment can trigger something in us that may leave us powerless and out of control. Many times this can also be someone who you have a history with (wife/husband, mom/dad, sister/brother, daughter/son, long-term friend, coworker or boss – just to name a few). Emotional Awareness: If emotions are high, intelligence is low – in other words, when your emotions take over, you lose control and your ego takes over. Bummer! Emotional Mind (our default operating system): Validate yourself by acknowledging that you have a natural urge to operate from your emotional mind BUT that you want and will stay in control. Intelligent Mind (pause and think): Interrupt the pattern by simply asking yourself, “How would my intelligent mind respond right now?” Give yourself the answer. Choice: Know that you always have a choice. Take a deep breath, pause and operate from your intelligent mind. I have tried it already and this totally works. Why give your power away to other people? It takes a bit of practice, so please be patient with yourself. 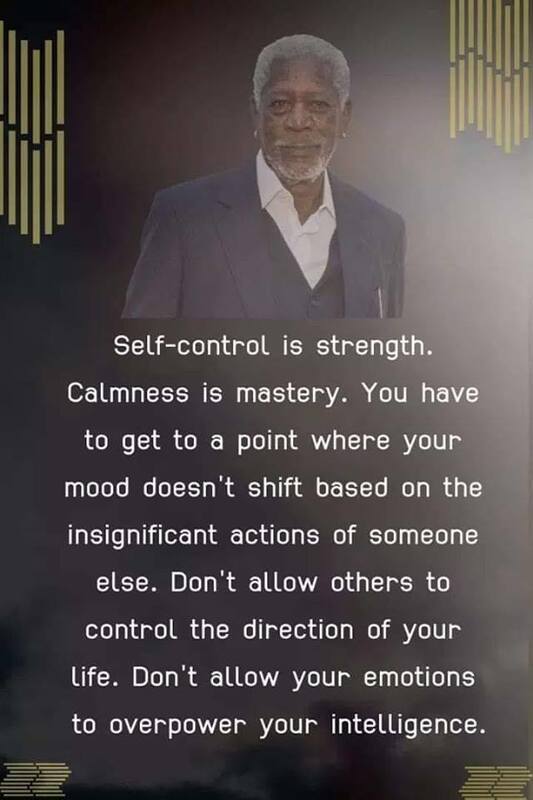 If you want to become the master of your emotions, you can and you will. Doesn’t this make your day?